Great Britain, like the United States, has seen a remarkably rapid rise in pre-diabetes and type 2 diabetes over the last decade. According to a recent BBC News report, more than one-third of British adults are now pre-diabetic. In the United States, nearly 80 million people, or one in four has some form of diabetes or pre-diabetes . What’s worse, both type 1 and type 2 diabetes among children and teens has also skyrocketed. The most recent data, reveals that, between 2001 and 2009, incidence of type 1 diabetes among children under the age of 19 rose by 21 percent. Incidence of type 2 diabetes among children aged 10-19 rose by 30 percent during that same timeframe! Statistics such as these point to two very important facts. First, it tells us that diabetes cannot be primarily caused by genetics, and secondly, it literally screams that something we’re doing, consistently and en masse, is horribly wrong, and we need to address it. In this case, that “something” is a seriously flawed diet and lack of physical activity. Unfortunately, Dr. Ron Rosedale wrote in 2005, doctors cause diabetics to D.I.E  from their flawed prescriptions, which stem from a basic lack of insight into the root cause of this disease. D.I.E., here, is a clever acronym for “Doctor Induced Exacerbation,” which does indeed include early death. Conventional medicine has type 2 diabetes pegged as a problem with blood sugar rather than the underlying problem of improper insulin and leptin signaling. The reality is that diabetes is a disease rooted in insulin resistance and perhaps more importantly, a malfunction of leptin signaling, caused by chronically elevated insulin and leptin levels. Type 2: non-insulin-dependent diabetes. In type 2 diabetes, the pancreas is producing some insulin, in fact usually too much, but is unable to recognize the insulin and use it properly. This is an advanced stage of insulin resistance, which is typically caused by a diet that is too high in sugars and sugar-forming foods. When you have inadequate insulin signaling, sugar cannot get into your cells and instead builds up in your blood. While anyone can get type 2 diabetes, you are typically considered at highest risk if you are overweight, sedentary, if you are a woman who had gestational diabetes, have family members with type 2 diabetes, or have metabolic syndrome. However, all of these really have the same underlying root of insulin and leptin resistance. Type 2 diabetes represents the vast majority of all diabetics, and contrary to conventional medical and media teaching, it’s nearly 100 percent curable through lifestyle changes alone (if these are instituted before conventional medical therapy/drugs kills the cells in the pancreas that makes insulin, causing type 1 diabetes too; see below). “In the US, type 2 diabetes is diagnosed when hemoglobin A1c levels reach 6.5 percent or higher. The higher A1c levels are, the greater the risk of other health problems. 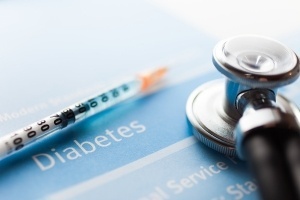 Sometimes the condition can be managed through changes in diet, but other patients with type 2 diabetes may need medication – such as insulin or metformin – to help lower their blood sugar levels, and ultimately, reduce the risk of diabetes complications. A growing body of research suggests there’s a powerful connection between your diet and your risk of both Alzheimer’s disease and glaucoma, via similar pathways that cause type 2 diabetes. Alzheimer’s disease was tentatively dubbed “type 3 diabetes ” in early 2005 when researchers learned that the pancreas is not the only organ that produces insulin. Your brain also produces insulin, and this brain insulin is necessary for the survival of your brain cells. Additionally, when your liver is busy processing fructose (which your liver turns into fat), it severely hampers its ability to make cholesterol , an essential building block of your brain that is crucial for optimal brain function. Indeed, mounting evidence supports the notion that significantly reducing fructose consumption is a very important step you can take to prevent Alzheimer’s disease . Vitamin D deficiency. Research suggests that sun avoidance may play a major role in the development of insulin dependent diabetes. The further you move away from the equator the greater your risk of being born with, or developing type 1 diabetes. A major key to preventing type 1 diabetes in children is to ensure that pregnant mothers have optimal vitamin D stores. There is also strong evidence that this can decrease your child’s risk of autism. Once your child is born, ensuring he or she gets optimal sun exposure (and/or wise use of oral vitamin D supplementation) could virtually eliminate the risk for type 1 diabetes. Abnormal gut flora. An excessive focus on a germ-free environment is another potential contributing factor that impairs immune function. In 2008, animal research suggested that beneficial bacteria could protect against the development of type 1 diabetes. There is a good deal of evidence that a contributor to the rising rates of type 1 diabetes is raising our children in too sterile an environment. Many parents religiously use antibacterial soaps and keep their children away from the natural dirt, germs, viruses and other grime of childhood. Antibiotics, which kill all of the good and bad bacteria in the gut, are also overused in childhood. The lesson here is, it’s okay to let your child get dirty. Use plain soap and water for washing. Avoid antibiotics unless absolutely necessary, and feed them naturally fermented foods such as yogurt, pickles and sauerkraut. Type 2 diabetes involves loss of insulin and leptin sensitivity. This makes it easily preventable and nearly 100 percent reversible without drugs. One of the driving forces behind type 2 diabetes is excessive dietary fructose , which has adverse effects on all of metabolic hormones—including two key players: insulin and leptin. This overwhelms and “deafens” your insulin receptors, hence the term “insulin resistance.” It’s the chronically elevated insulin levels that make your body “resistant” to understanding the signals sent by the insulin. This also occurs with leptin. It’s really important to realize that T2 diabetes is not caused by elevated blood sugar or “insulin deficiency” per se. The root cause is insulin and leptin resistance which is why prescribing insulin is one of the WORST things you can do for type 2 diabetes, as it will actually worsen your insulin and leptin resistance over time. You do not need more insulin. You need to restore the sensitivity of your insulin and leptin receptors by keeping their levels low! If you’re still having trouble understanding why taking insulin is a terrible choice in type 2 diabetes consider this; when your blood sugar becomes elevated, insulin is released to direct the extra energy (sugar) into storage. A small amount is stored as a starch called glycogen, but the majority is stored as fat. Therefore, insulin’s primary role is not to lower your blood sugar, but rather to store this extra energy as fat for future needs when food may not be available. The fact that insulin lowers your blood sugar is merely a “side effect” of this energy storage process. Taking more insulin just makes you fatter! Now remember, when your blood sugar becomes elevated, insulin is released to direct the extra energy into storage—the majority of which is stored as fat, and leptin is produced in these fat cells. The more fat you have, the more leptin is produced. Furthermore, as the sugar gets metabolized in your fat cells, the fat releases further surges in leptin. This is why I typically talk about insulin and leptin resistance, as they work in tandem. Moreover, leptin is largely responsible for the accuracy of insulin signaling and whether or not you become insulin-resistant. If you’re insulin resistant, you’re more than likely leptin resistant as well, especially if you’re overweight or obese. Because when you develop leptin resistance, your brain can no longer hear leptin’s signals, resulting in chronic hunger, overeating, inability to properly burn fat and, typically, obesity. Insulin resistance, and ultimately type 2 diabetes, follow suit. Just as with insulin, the only known way to reestablish proper leptin signaling is through proper diet. High consumption of carbohydrates, especially fructose, are again the prime culprit and the root cause of leptin resistance. Lack of exercise and abnormal gut flora also contribute and/or exacerbate insulin and leptin resistance. Leptin’s importance in blood glucose control and diabetes is powerfully illustrated by recent studies that show its ability, even in low doses, to lower blood glucose in both type 1 and 2 diabetics, and this is an exciting new potential treatment. Magnesium deficiency is also worth mentioning while still on the subject of root causes of type 2 diabetes. Magnesium actually plays an important role in glucose and insulin homeostasis, and magnesium deficiency is widespread these days. Magnesium is also required to activate tyrosine kinase, an enzyme that functions as an “on” or “off” switch in many cellular functions and is required for the proper function of your insulin receptors. Rarely do so many studies, from around the world find universal agreement on a subject, but here the evidence is clear: if you want to optimize your metabolism and keep your risk for type 2 diabetes low, one of the things you need to do is consume adequate magnesium. One 2013 study involving pre-diabetics found that most had inadequate magnesium intake, and those with the highest magnesium intake reduced their risk for blood sugar and metabolic problems by a whopping 71 percent. Current government guidelines for magnesium intake among adults call for 300 to 420 mg per day (depending on your gender, age, pregnancy and lactation), but many people consume less than 300 mg per day. Research suggests many would benefit from a much higher intake, about 700 mg per day or more. Magnesium is lost in sweat during exercise and used up in higher amounts when you’re stressed. I believe that magnesium threonate is one of the best supplemental sources, as it seems to penetrate cell membranes, including your mitochondria, which results in higher energy levels. Additionally, it also penetrates your blood-brain barrier and seems to do wonders to treat and prevent dementia and improve memory. Whatever supplement you choose, be sure to avoid any containing magnesium stearate , a common but potentially hazardous additive. Please understand that medications and supplements are not the answer for type 2 diabetes. Diabetes drugs fail to address the underlying problem, and many, like Avandia , can have dangerous side effects. Avandia is linked to 43 percent increased risk of heart attack and 64 percent higher risk of cardiovascular death, compared with other treatments. Instead, type 2 diabetes is best controlled by restoring your insulin and leptin sensitivities. This is done by eliminating grains and sugars—especially fructose—from your diet, getting plenty of healthy fats, exercising, and sleeping well. Further details on this will be provided below, in the treatment section. As noted earlier, recent research published in the Journal of Clinical Endocrinology & Metabolism confirms what Dr. Ron Rosedale has stated for the last two decades, which is that insulin treatment can provoke otherwise reversible type 2 diabetes to progress into type 1 insulin deficient and therefore insulin-dependent diabetes. The study found that giving genetically engineered recombinant insulin to type 2 diabetics with certain genetic susceptibility can trigger their bodies to produce antibodies that destroy their insulin producing cells (pancreatic islet cells). You may not realize that all human insulin, the type typically used, is GMO or genetically modified which might be responsible for this autoimmune reaction. Another study published in Diabetologia in May of this year, found that diabetic cancer patients also have a significantly elevated risk of death. Diabetic patients using insulin at the time of their cancer diagnosis had a four times higher mortality rate one year after cancer diagnosis, compared to non-diabetic patients, or those who did not use insulin to control their diabetes. While this was an observational study, which means it cannot establish causality, it is worth noting nonetheless. Now that you have an understanding of the root causes of insulin resistance and type 2 diabetes, it’s time to outline a program to reverse this condition. Remember, type 2 diabetes is curable, and in the vast majority of cases does not require any form of medication. The following nutrition and lifestyle modifications should be the foundation of your diabetes prevention and treatment plan. Also, make sure to monitor your FASTING insulin level. This is every bit as important as monitoring your fasting blood sugar. You’ll want your fasting insulin level to be between 2 and 4. The higher your level, the greater your insulin resistance and the more aggressive you need to be in your treatment plan, especially when it comes to altering your diet. Swap out processed foods, all forms of sugar—particularly fructose—as well as all grains, for whole, fresh food. A primary reason for the failure of conventional diabetes treatment over the last 50 years has to do with seriously flawed dietary recommendations. Fructose, grains, and other sugar forming starchy carbohydrates are largely responsible for your body’s adverse insulin reactions, and all sugars and grains—even “healthful” grains such as whole, organic ones—need to be drastically reduced. If you’re insulin/leptin resistant, have diabetes, high blood pressure, heart disease, or are overweight, you’d be wise to limit your total fructose intake to 15 grams per day until your insulin/leptin resistance has resolved. This includes about 80 percent of Americans. For all others, I recommend limiting your daily fructose consumption to 25 grams or less, to maintain optimal health. The easiest way to accomplish this is by swapping processed foods for whole, ideally organic foods. This means cooking from scratch with fresh ingredients. Processed foods are the main source of all the primary culprits, including high fructose corn syrup and other sugars, processed grains, trans fats , artificial sweeteners, and other synthetic additives that may aggravate metabolic dysfunction. Exercise regularly and intensely. Studies have shown that exercise, even without weight loss, increases insulin sensitivity. High intensity interval training  (HIIT), which is a central component of my Peak Fitness program , has been shown to improve insulin sensitivity by as much as 24 percent in just four weeks. Improve your omega-3 to omega-6 ratio. Today’s Western diet has far too many processed and damaged omega-6 fats, and is far too little omega-3 fats. The main sources of omega-6 fats are corn, soy, canola, safflower, peanut, and sunflower oil (the first two of which are typically genetically engineered as well, which further complicates matters). Our bodies evolved for an optimal 1:1 ratio of omega-6 to omega-3. However, our ratio has deteriorated to between 20:1 and 50:1 in favor of omega-6. This lopsided ratio has seriously adverse health consequences. To remedy this, reduce your consumption of vegetable oils (this means not cooking with them, and avoiding processed foods), and increase your intake of animal-based omega-3, such as krill oil. Vegetable-based omega-3 is also found in flaxseed oil and walnut oil, and it’s good to include these in your diet as well. Just know they cannot take the place of animal-based omega-3s. Maintain optimal vitamin D levels year-round. New evidence strongly supports the notion that vitamin D is highly beneficial not only for type 1 diabetes as mentioned before, but also in type 2 diabetes. The ideal way to optimize your vitamin D level is by getting regular sun exposure, or by using a safe tanning bed. As a last resort, consider oral supplementation with regular vitamin D monitoring , to confirm that you are taking enough vitamin D to get your blood levels into the therapeutic range of 50-70 ng/ml. Also please note that if you take supplemental vitamin D, you create an increased demand for vitamin K2 . Maintain a healthy body weight. If you incorporate the diet and lifestyle changes suggested above you will greatly improve your insulin and leptin sensitivity, and a healthy body weight will follow in time. Determining your ideal body weight depends on a variety of factors, including frame size, age, general activity level, and genetics. As a general guideline, you might find a hip-to-waist size index chart  helpful. This is far better than BMI for evaluating whether or not you may have a weight problem, as BMI fails to factor in both how muscular you are, and your intra-abdominal fat mass (the dangerous visceral fat that accumulates around your inner organs), which is a potent indicator of leptin sensitivity and associated health problems. Incorporate intermittent fasting. If you have carefully followed the diet and exercise guidelines and still aren’t making sufficient progress with your weight or overall health, I strongly recommend incorporating intermittent fasting . This effectively mimics the eating habits of our ancestors, who did not have access to grocery stores or food around the clock. They would cycle through periods of feast and famine, and modern research shows this cycling produces a number of biochemical benefits, including improved insulin/leptin sensitivity, lowered triglycerides and other biomarkers for health, and weight loss. Intermittent fasting is by far the most effective way I know of to shed unwanted fat and eliminate your sugar cravings. Intermittent fasting has also been identified as a potent ally for the prevention and perhaps even treatment of dementia. Ketones are released as a byproduct of burning fat, and ketones (not glucose) are actually the preferred fuel for your brain. Keep up your intermittent fasting schedule until your insulin/leptin resistance improves (or your weight, blood pressure, cholesterol ratios, or diabetes normalizes). After that, you only need to do it “as needed” to maintain your healthy state. Optimize your gut health. Your gut is a living ecosystem, full of both good bacteria and bad. Multiple studies have shown that obese people have different intestinal bacteria than lean people. The more good bacteria you have, the stronger your immune system will be and the better your body will function overall. Fortunately, optimizing your gut flora is relatively easy. You can reseed your body with good bacteria by regularly eating fermented foods (like natto, raw organic cheese, miso, and cultured vegetables).